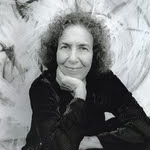 Rita Blitt is an international award-winning painter, sculptor and filmmaker. Rita Blitt, award winning painter, sculptor and filmmaker, has been creating art for seven decades. Her work celebrates her love of nature, music, dance and the spontaneous flow of movement captured in the drawn gesture. Her art, recording her enthusiasm for life, has been seen throughout the world. Aspen, Colorado, has been a primary inspiration in Rita Blitt’s life. In 2011, her art was featured on the cover of the Aspen Music festival’s program book. Blitt films have received numerous awards. “Caught in Paint,” a collaboration with choreographer David Parsons, the Parsons dancers, and photographer Lois Greenfield has received 16 awards and been shown in over 130 film festivals throughout the world. In 2008, Moving Pictures Magazine showed “Caught in Paint" at a Film Festival party in Cannes, France. In addition to her paintings and sculpture being shown in over 70 one person exhibitions, Blitt's monumental sculpture, up to 60 feet in height, are seen in many states in America, Japan and Singapore. Blitt works can be seen in museums and private collections. The Blitt Archive, a collection of Blitt’s most important pieces created throughout her life, is being established at the Mulvane Museum, Washburn University, Topeka, Kansas. A small building connected to Washburn’s concert hall will show changing exhibitions from the Blitt Archive. The new building will open in 2017. Fulbright-Hayes Fellow, Michael Udow, was the 2014-15 Composer-in-Residence with the Colorado Chamber Orchestra. Michael has composed operas, film scores, orchestral and wind ensemble works as well as numerous chamber music and solo compositions. His distinctive compositional voice alludes categorization. Quite often, his rhythmically engaging complex contrapuntal lines with dense timbres weave effortlessly with memorable melodic lines. Having retired after a distinguished career at The Santa Fe Opera (Principal Percussion 1968 - 2009) and the University of Michigan (1982 - 2011 Emeritus Professor), Michael devotes his full time energies towards composing. Michael continues to provide short term composition and percussion residencies at conservatories and universities around the world, most recently in China, Japan, Korea and the USA. In 2013 this included residencies in China, Japan and Korea. His inspiring composition teachers included Warren Benson, Herbert Brün, Edwin London, Thomas Fredrickson, Paul Steg, Wlodzimierz Kotoński and he credits Salvatore Martirano, Ben Johnston, Gordon Binkerd, Morgan Powell and Neely Bruce for their informative contributions. Michael’s exceptional percussion education began with Doc Meyer and continued with Bob Lee, F. Michael Combs, Jack McKenzie, Frederick Fairchild, Russell Hartenberger Michael Ranta, Alan Abel and his BM, MM & DMA professor, Thomas Siwe. Born in 1949 in Detroit, Michigan, Udow began his musical studies at the piano. After several years, he gravitated towards percussion. At the age of eleven his family moved to Wichita, Kansas where he joined the Wichita Youth Symphony. In his first rehearsal with Roger Roller on the podium conducting George Enescu’s Romanian Rhapsody, Udow recalls being overwhelmed with the of the sound world of the strings, winds, brass and percussion; this pivotal experience provided the pathway for his life, which continued with four summers at the National Music Camp at Interlochen where his percussion teacher, Jack McKenzie encouraged Michael to compose and later. Later, at the Interlochen Arts Academy, Michael began his formal composition studies with Warren Benson. Arriving at the University of Illinois in the fall of 1967, John Cage’s monumental Music Circus “happened.” Michael performed Ben Johnston’s Knocking Piece with Jocy de Oliveira in synchronization to an animated film of the poly-rhythms. He also performed Morton Feldman’s King of Denmark with Merce Cunningham dancers improvising to the music. That was the beginning of Michael’s comprehensive college education interacting constantly with composers. During his undergraduate studies Michael received a BMI Student Composers Prize for his composition, Seven Textural Settings of Japanese Haiku. After joining the New Orleans Philharmonic and then on to the Fulbright to Poland, Michael returned to the United States to tour with the historic groundbreaking Blackearth Percussion Group. 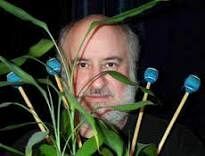 Ultimately returning to Illinois with a Creative Arts Fellowship, he continued his composition studies and matriculated with a MM and the first DMA degree in percussion performance from the University of Illinois in 1978. After late nights during summer months at the opera and while teaching during the winters, Udow continued to compose, including two operas as well as numerous symphonic, chamber and solo works. Michael recently completed Stepping Stones, a marimba duet, for Eriko Daimo and Pius Cheung and is currently completing a new orchestral and a new wind ensemble work. 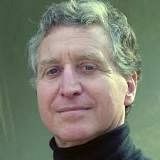 Artistic Director DAVID PARSONS founded Parsons Dance in 1985 with lighting designer Howell Binkley. Since then, Mr. Parsons has created works through commissions from Alvin Ailey American Dance Theater, American Ballet Theatre, the American Dance Festival, Jacob’s Pillow Dance Festival, New York City Ballet, Paul Taylor Dance Company, the Spoleto Festival, and Het Muziektheater in Amsterdam, among others. His works have also been performed by Batsheva Dance Company of Israel, English National Ballet, Feld Ballets/NY, Hubbard Street Dance Company, Nederlands Dans Theatre, and Paris Opera Ballet, among many others. He choreographed and directed the dance elements for Times Square 2000, the 24-hour festivities in Times Square celebrating the turn of the Millennium. Mr. Parsons enjoys a remarkable career as a choreographer, teacher, director, and producer of dance. He has toured and taught with his company on five continents. In September 2007, he directed and choreographed Gotham Chamber Opera’s production of María de Buenos Aires, which made its world premiere at a sold-out engagement at NYU’s Skirball Center for the Arts in New York City. In the July 27, 2007 issue of The New York Times, Jennifer Dunning called him “one of the great movers of modern dance.” In June 2007, Mr. Parsons was the first contemporary choreographer to stage work at the centuries-old Arena di Verona, where he choreographed Verdi’s Aida. He is a recipient of the 2000 Dance Magazine Award, the 2001 American Choreography Award and the 2011 Dance Masters of America Award. From 1978-1987, Mr. Parsons was a leading dancer with the Paul Taylor Dance Company, where Mr. Taylor created many roles for him in works such as Arden Court, Last Look, and Roses. He has appeared as a guest artist with the Berlin Opera, MOMIX, the New York City Ballet, and the White Oak Dance Project. As a director and choreographer, he has collaborated with such artists as John Corrigliano; Earth, Wind and Fire; East Village Opera Company; Morton Gould; Donna Karan; Alex Katz; William Ivy Long; Santo Loquasto; Dave Matthews; Milton Nascimento; Robert Rauschenberg; Steely Dan; and Billy Taylor. Film: Fool’s Fire, directed by Julie Taymor; American Playhouse; and Rita Blitt’s documentary Caught in Paint. Television: Bravo broadcast of Aeros; PBS production of Remember Me, a world premiere production by Parsons Dance and the East Village Opera Company; Parsons Dance repertory production in Denmark; the hit Italian reality television show “Amici;” PBS production of Billy Taylor music with Parsons Dance’ and RAI television dance celebration of Pisa, Italy. Commercial work: Audi, Mercedes, Chevrolet, Alfa Romeo, Lion pajamas, and Flair magazine. Fashion: Missoni, Trusardi, Ermenegildo Zegna, Roberto Cavalli. Born near Chicago and raised in Kansas City, Mr. Parsons received an MFA from Jacksonville University as the first Howard Gilman Fellow and an honorary Doctorate from the University of Missouri-Kansas City. Mr. Parsons has cultivated educational partnerships with Marymount Manhattan College, Broadway Dance Center and Manhattan Movement and Arts Center. Education outreach, workshops, lecture and demonstration events, and Master Class venues include Juilliard, Columbia Business School and UCLA. In her exuberant and explosive pictures, Lois Greenfield captures not just the lithe and acrobatic forms of dancers performing their art, but the purity and exhilaration of movement itself. Without tricks or manipulation of any kind, she catches fleeting and impossible moments in a style that is both lyrical and graphic. Greenfield has been compared with Eadweard Muybridge for his exploration of human locomotion and with Henri Cartier-Bresson for capturing the decisive moment. Unlike her predecessors however, her images depict but don’t refer to the “real” world. They are documents of her imagination. Beginning her career as a photojournalist, Greenfield covered the experimental dance movement scene for the Village Voice from 1973 to the mid 90’s. In 1982 she decided to open her own studio where she could control the lighting, and work with dancers in a collaborative environment. Her exploration of the expressive possibilities of photographed movement and her unique approach to photographing the human form in motion has radically redefined the genre and influenced a generation of photographers. Greenfield has created signature images for countless contemporary dance companies as well as commercial clients. Her photographs have been featured in many magazines worldwide and exhibited internationally. She frequently gives lectures and offers workshops. To find out her clients and exhibition lists, please refer to her resume HERE. Since 2014 Greenfield has been an Artist in Residence at NYU/Tisch Department of Dance and New Media. In 2015, She was honored with the Dance in Focus award in recognition of her ground-breaking contributions to the field. Her third book, “Lois Greenfield:Moving Still”, (Thames & Hudson, UK & Chronicle Books, USA) was released in Fall 2015.